Whether you prefer your balls with beef or pork, on top of spaghetti or inside a hero, these tips will take your game to the next level. A meatball is a food that defines itself: it’s literally a ball of meat. But before you start scooping clumps of ground beef into a frying pan and calling your sad dinner “meatballs,” let’s take a step back. Meatballs may be simple in essence, but there are a handful of complications to contend with if you really want to get them right. Though fatty and flavorful meats are the foundation of a great ball, the biggest challenge to meatball success lies in lightening up the aggressive meatiness without dumbing the whole thing down to Hamburger Helper. That means diluting the meat with aromatics like garlic and onion, herbs like fresh parsley, and breadcrumbs, all of which must share the stage with your beef, pork, or poultry but never steal the spotlight. Most of us associate meatballs with the classics of Italian-American cooking: slow-stewed marinara sauce coating the oregano-scented balls, piled on top of spaghetti. But meatballs show up in the cooking of other cultures, too, from the Middle East to South East Asia. After all, a meatball often makes use of less desirable cuts of meat—ones that need fine chopping and a host of add-ins to be properly enjoyed—and so cooks worldwide have realized that they are an ideal way to utilize extra chunks of tough, fatty pork shoulder. And so, a meatball offers a blank slate. Whatever flavors you’re currently craving can likely be adapted to the formula of meat, bread, egg, and salt. In fact, some argue that you don’t even need the meat for a meatball: “We have a veggie ball that we are really proud of,” says pre-eminent meatballer Daniel Holzman of the Meatball Shop. Nearly any meat works in a meatball—even a combination, like pork and beef, or veal and beef, or beef and bacon. There are factors more important than type of meat, however: fattiness and cut. Going for a 70 percent lean and 30 percent fat ratio is a solid start, according to Holzman. That means using chicken thighs instead of breasts and keeping the skin on when turning poultry into ground meat. With pork, Holzman said, he’ll add pork belly to pork shoulder to get the right combo. Of course, some of these cuts are not at all tender, and meatballs aren’t cooked for hours like brisket or pulled pork. That’s why grinding is key. “The grinding process tenderizes the meat,” says Holzman. Even tough cuts like beef brisket, goat, and lamb—all of which contribute tons of flavor to your final ball—break down in the grinder. If you’ve got a Kitchen Aid mixer, you might invest in a grinder attachment. 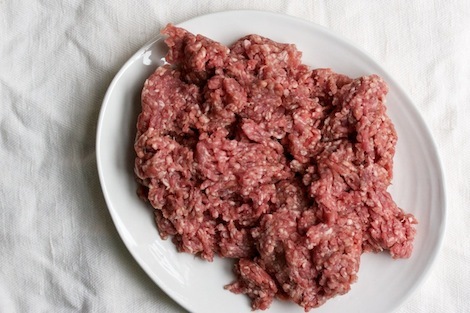 And if you’re simply buying pre-ground meat, make an effort to get it from a butcher who grinds it fresh, and try out some mixing and matching—a little ground beef, a little ground pork, some minced bacon. And if you really do want to make veggie balls, Holzman recommends a lentil base. When you think Italian spicing, chances are that dried oregano comes to mind. Add pinches of the stuff—it’ll certainly be good. What you really need, though, are fresh herbs. They’ll add the kind of vibrancy that a potentially dull ball of meat and breadcrumbs really needs. 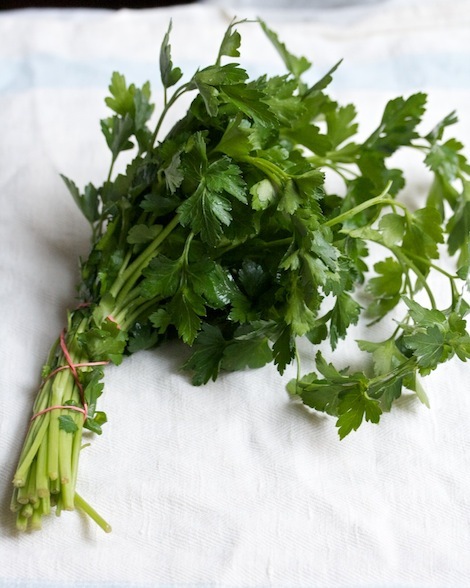 Minced parsley is my current go-to. I use handfuls of it—at least a third of a cup for one pound of meat. If you’re looking to modify your meatballs into something more multicultural, your herbs and spices are the place to start. Try cumin and coriander for chicken tikka masala meatballs, cilantro and chili powder for Mexican meatballs, and fresh thyme and oregano for something vaguely Greek. In general, if you’ve got fresh bread to grind up into meatballs, go ahead and use it—it’ll keep the final product light. Dried crumbs work out okay in the end for most balls, too, and they’re actually preferable “when you have a recipe with a lot of moisture,” says Holzman.“It’s a shame to grind fresh bread and I often have some old stale bread lying around,” he adds in defense of the dried breadcrumbs route. Your crumbs can be on theme, too: grind tortilla chips for Mexican-themed balls, or mince toasted pita for meatballs with a Middle Eastern twist. First: Parmesan. Let me say it again. Parmesan. Handfuls of freshly grated parm will infuse your balls of meat with the kind of umami flavor you thought maybe you’d never achieve in a homemade meatball. That brings us to salt. Salt well, please. Start with 1 teaspoon for every pound of meat. If you’re worried about under-salting, cook up one tiny meatball, eat it, and then season the rest of your batch accordingly. For Mexican-style meatballs, use minced jalapeno and chipotle (flavor your tomato sauce with chipotle too, and top with fresh cheese). For chicken teriyaki balls, opt for ginger, soy sauce, and a dash of honey. And, heading back to Italian for a moment, Perillo suggests adding ricotta if you’re going for ultimate tenderness. 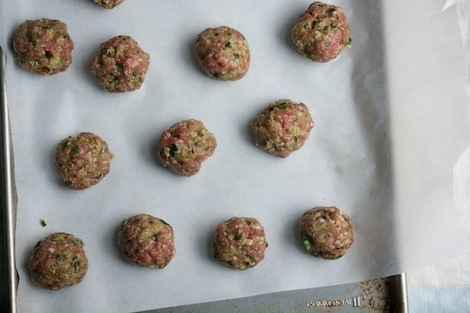 Mix and shape your meatball mix with your hands. Take off your rings, wash your paws well, and then stick your fingers straight into the gooey, chilly meat. This will prevent over-mixing, which is a good thing; you don’t want your meat and fillings to be one hundred percent combined. Never pack your meatballs—always shape with a light hand, touching the meat as little as possible. No matter what, meatballs get denser as they cook, so don’t hurry along any inevitable toughness. The size of your meatball will depend on its use: soup, pasta, and subs all require slightly different shapes and sizes. Good news on this front. 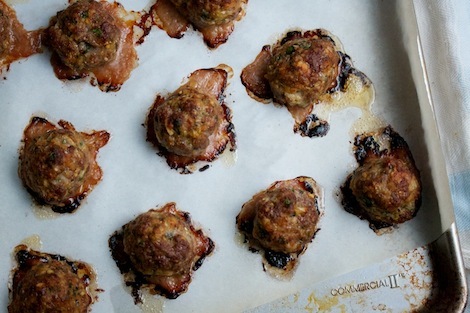 “There’s no wrong way to cook a meatball,” says Holzman. In other words, it’s up to you. For baking, 25 minutes at 400°F should do the trick. If you transfer baked meatballs into sauce, be sure to scrape the crispy bits off the bottom of the pan and add them too. For frying, simply heat up a skillet with a bit of oil, then sear the balls to give them a crust. For either method, you can let the balls braise in your sauce for as long as you’d like; because they cook much more slowly once in sauce, there’s little danger of overcooking. 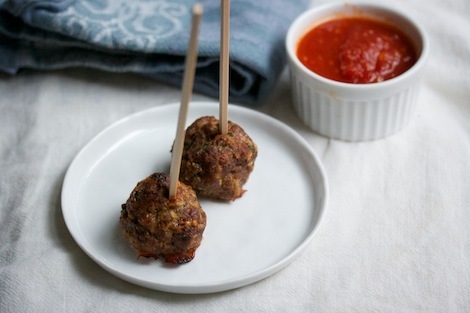 Classic marinara really brings out the best in a good meatball, adding sweetness and tang to its rich, meaty interior. If you’ve braised your meatballs in tomato sauce, you’re left with many options about how to serve: on pasta, in a hero, in a casserole under cheese, or even atop rice. 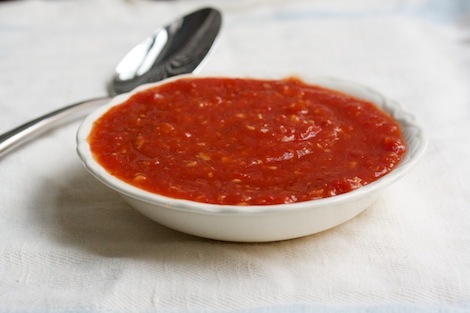 If you’re playing around with flavors, stick with the theme for the sauce. Make a cumin-scented, creamy tomato sauce for Indian meatballs, a teriyaki sauce for Japanese meatballs, and a chili-laced tomato version for Mexi-balls. 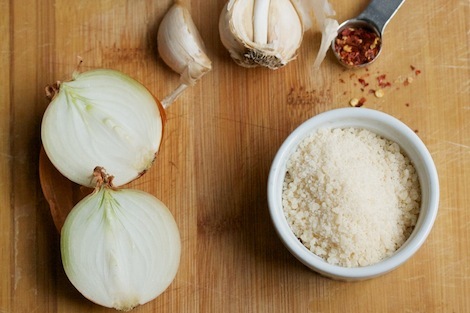 This section is just to say that if you’re making meatball subs, there is no such thing as too much parmesan. 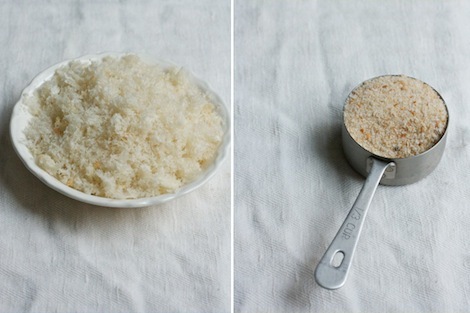 Use as much or as little mozzarella as you desire, but never skimp on the parm. For a big hero with four balls, start with a third of a cup. You’ll thank me later for this. If you branch out into other flavorings, don’t forget to think about the final serving method. Queso fresco should top Mexican balls, raita goes on top of chicken tikka masala balls, and steamed broccoli and chopped scallions are great with teriyaki meatballs. On top of spaghetti or between the bread? If you make a big enough batch, you’ll never have to choose. 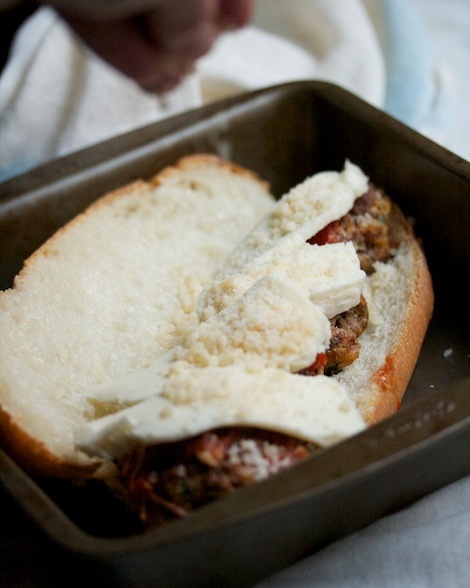 For subs, smash your meatballs before or after cooking, so that they’re less apt to roll off the bun. 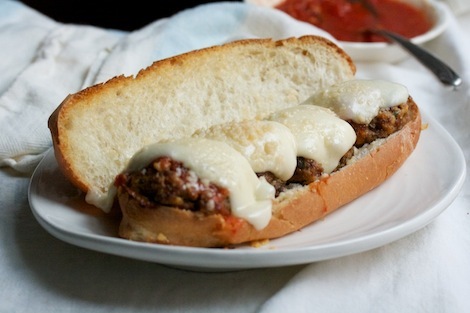 Top with sauce, mozz, and tons of parm, then stick the sandwiches in a 400°F oven for five minutes, or until the cheese melts and the bread turns golden. For pasta, simply pour the balls and sauce on top of spaghetti (all covered with cheese, of course). Mu la lai, Vietnamese-style meatballs, are served in lettuce wraps. Kofta, the Middle East’s version of meatballs, arrive on skewers straight from the grill. Pinch tiny meatballs and poach them in broth for classic Italian Wedding Soup. Throw halved meatballs onto pizza. Build out awesome rice bowls. If you’re having a cocktail party, shape the balls to just around one-inch in diameter, then serve with toothpicks and sauce for dipping.